Royalmont Academy was founded in 1996 by a group of families with the vision of creating a school with high academic standards and meaningful, Catholic religious formation. Since our foundation, the school has operated mainly in Mason, Ohio, except for the first two years when the school was located in Oakley. Upon moving to Mason in 1998, Royalmont took up residence just off of downtown Mason on Church Street, and in 2002, the school moved to Western Row Road, where we operated for the following decade. 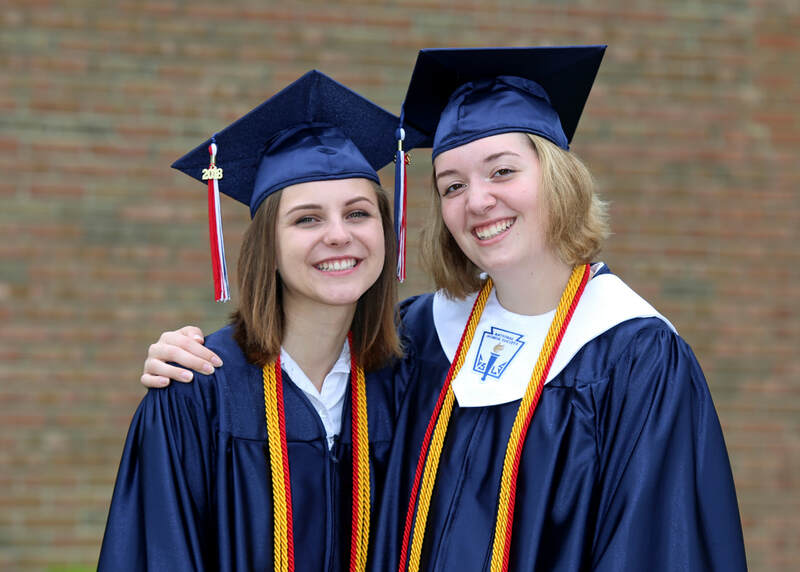 A major milestone for Royalmont Academy came on July 1, 2009, when Archbishop Daniel Pilarczyk recognized Royalmont as a Catholic school in the Archdiocese of Cincinnati, affirming our mission to be of service to the Church. With deep gratitude for this gift, Royalmont sought permission to repose the Blessed Sacrament in our school chapel. On February 5, 2010, Christ in the Blessed Sacrament came to reside in our school. On July 28, 2012, Royalmont made the historic move from our Western Row location to the former Mason Heights Elementary School. The move doubled our classroom space and offers the blessing of so many amenities for our students and families, including: dedicated gymnasiums, computer labs, science labs, auditoriums, and multiple playgrounds. Two years later on July 17, 2014, Royalmont purchased the buildings and campus from Mason City Schools. In between the relocation and purchase, Royalmont announced it would add high school grades starting in the 2014-2015 school year. This would mark the first new Catholic high school in Butler and Warren Counties since Badin opened in 1966. The expansion would also make Royalmont the only Catholic school in Warren County to offer preschool through High School. We've been blessed. This year we graduated our first class of seniors that have attended Royalmont Academy for all four years of high school. Two of these students have attended Royalmont since preschool! We are so proud of our graduates!